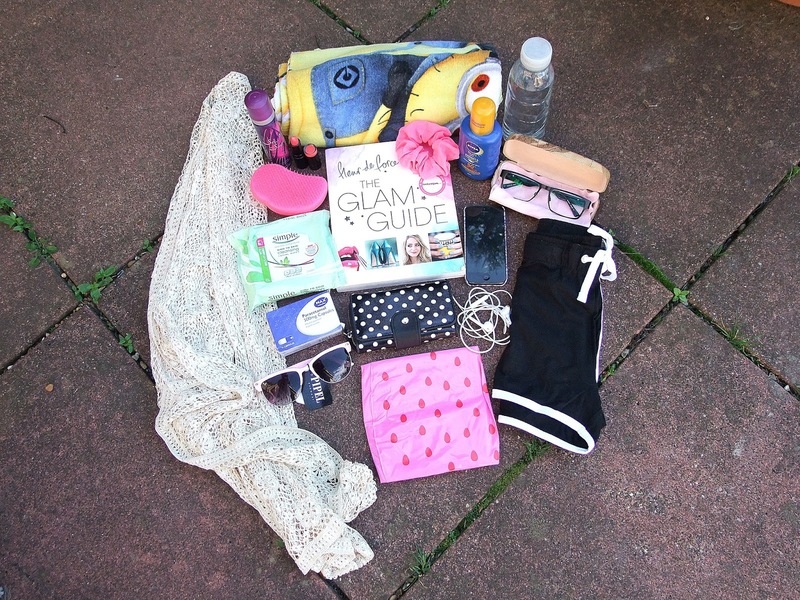 Today i have a 'What's In My Beach Bag' post for you! I'm not actually going on holiday this Summer due to health reasons and having a lot of hospital appointments. 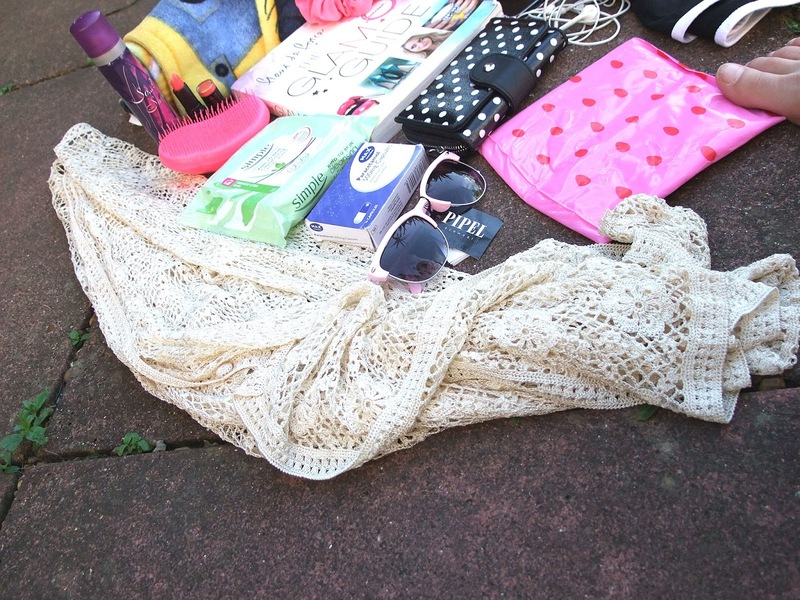 So to put this together, i put in this beach bag, that Boohoo kindly sent me, what i more or less took to the beach when i went to Dubai in May. Just gonna throw this out there, that if you haven't been to Dubai, GO! It's amazing! 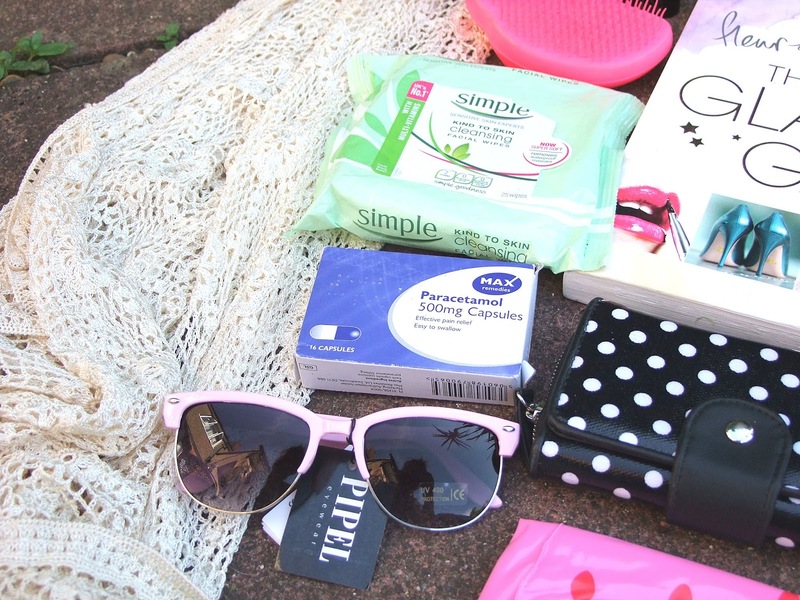 Here you'll see some of my favourite things to put in my bag when going to the beach! Well you can't go to the beach without a towel now, can you? I obviously took my minion towel! If you didn't know already, i love minions, and i got this lovely towel for Christmas from Claires Accessories from my parents. 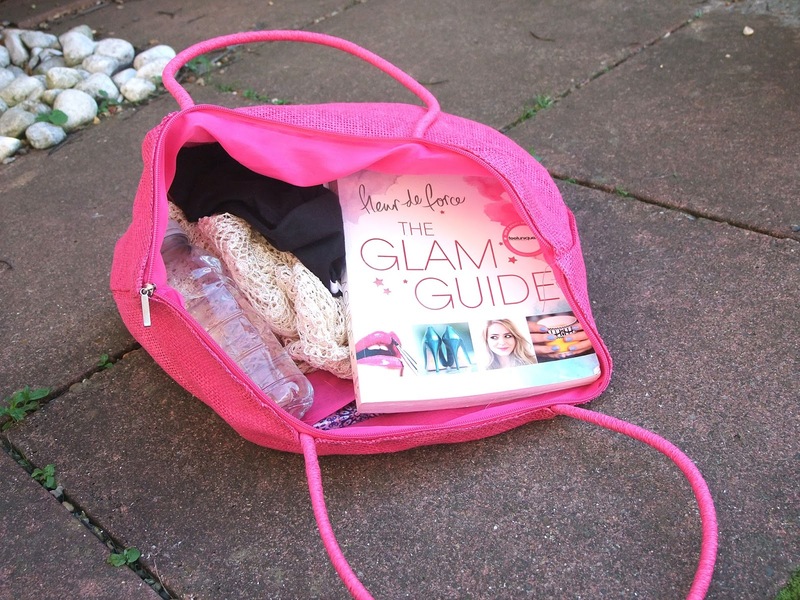 I took it to the beach with me when i was in Dubai and i knew it just had to be in my beach bag, because it's 100% an essential! The Scrunchie is really cute and a lovely pink colour. It's made with faux suede, so it feels really soft. It'll look great in your hair for Summer! I think it's always good to have a brush of some kind, and scent that is easy to carry around and won't get broken easily, such as a body spray, and a nice pink lippy. My hair always gets so knotty at the beach due to the wind, and then when you're all hot & sweaty and want to brush your fingers through it, you can't. I find this so frustrating, so to solve that, i'll always take a tangle teezer. A body spray is a necessity, just because it's to smell nice. There isn't much else to say about that, but if you're surrounding yourself with other people, especially people you don't know, a little bit of body spray, will not just only make you smell better, but will also make you feel a bit more comfortable too. A pink lippy is something i always take to the beach. I don't wear makeup in the day on holiday, i don't see the point; i want to tan! But i think wearing a nice neutral lipstick is just lovely. Whenever i go to the beach, i have to take face wipes and paracetamol. I think it's just nice to wipe your face over with a face wipe when you're all sweaty. I know it always makes me feel a bit nicer. I have to take paracetamol because i always seem to get headaches in the sun, sometimes even in the shade, so to help get rid of that, paracetamol will always stay quite close to me. Sunglasses are just a must really aren't they? You'd be silly to go to the beach without them! 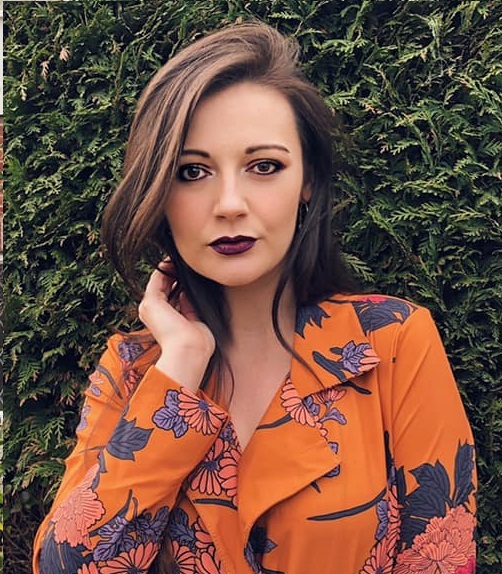 This gorgeous pair are from Boohoo and i love them. The pastel pink frame is cute and i actually think i look quite nice with them on, which i was quite surprised about! I always have a different purse when i go on holiday because incase anything does happen to go missing, i don't want to lose everything. When i go to the beach i always take a small amount of money so that i'm able to buy things like a drink and an ice cream! mmm ice cream! When you're in the sea, it can become a bit boring with nothing to do. Taking an inflatable beach ball is the answer to all your problems! I can't begin to tell you how much fun i've had with a beach ball when at the beach. Hours of endless fun! If you don't take sun cream to the beach, you're silly! You really need suncream when you're at the beach in whatever county you're in during Summer. You don't want to get burnt now, do you? I usually start off by wearing Factor 50 all over my body, because it would be terrible if you got burnt on the first day of your holiday! I will gradually go down in SPF, but always best to start high! This is one of the spray bottles. I actually prefer the bottles where you squeeze it to come out, but i guess that's just personal preference. I always take a bottle of water with me because you absolutely must keep hydrated in the heat! I've also got my glasses which i'll mostly use for reading, but i need them for when i've got a good book to get myself into. When i went to Dubai this was the book i sunk my teeth into. It is SO good! 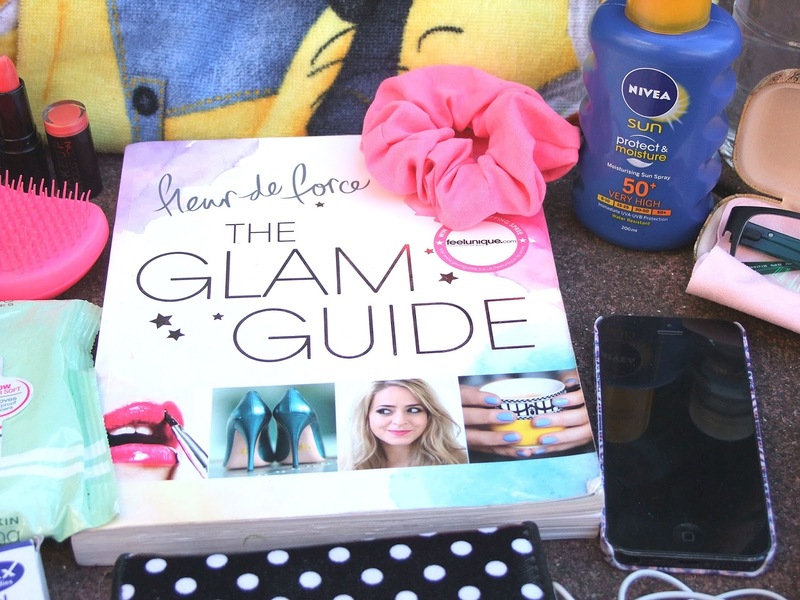 For people that really want to know more about beauty, fashion and travel this book is great. Everytime i put it down, i couldn't wait to pick it up again. I was gutted when i finished it tbh. I can't fault the book and i feel like i actually picked up a few tips & tricks from it. 100% recommend this for a holiday read! I have to take my phone with me everywhere, we're practically glued together! I take a lot of my holiday photos on my phone, so obviously i need it with me. I actually had to buy my phone from CEX because i bought it because my other one didn't have enough GB and well yeah, anyways! I don't think i'm alone in saying that my phone will come to the beach with me. You've got to be so careful you don't drop it and make it all sandy though! With my phone, i take my headphones with me as if i'm not reading my book, i'll usually be listening to music on my phone. I always download nice summery tunes before i go away as well! These black cotton shorts that i got for £4 from Primark are a perfect cover up for my legs. I don't like walking about in my swimwear with my legs fully on show, so some little shorts like this are perfect until i get to lie on the beach. This little cream cardigan was infact my Grandmas from many years ago. I think it'd just be perfect to throw on over my swimwear to walk down to the beach in, along with my shorts. I don't like to walk about enabling everyone to look at my body, so a light cardigan (which isn't much of a cardigan) is perfect! 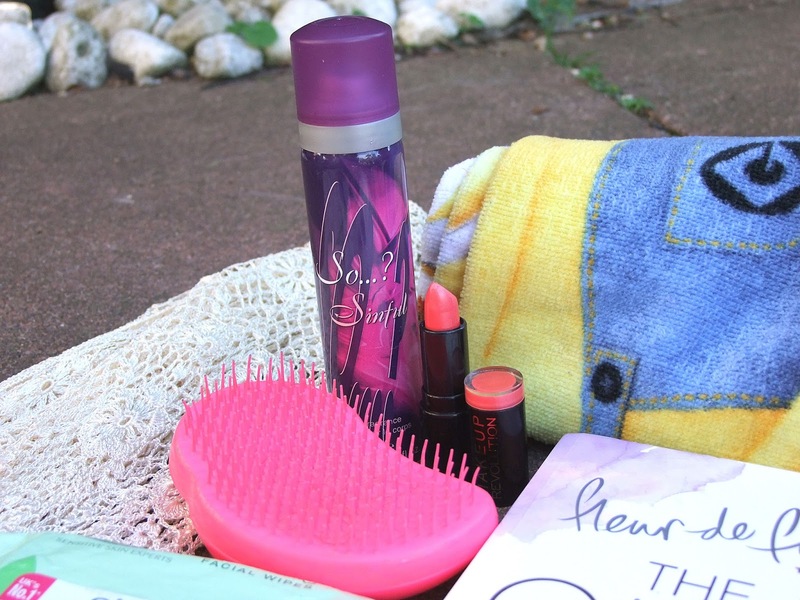 So, this is my 'What's In My Beach Bag' post! Have we go anything in common that you'd take to the beach? Am i missing something? Hope you all have a great Summer Holiday! Love the beach bag and I've been meaning to get Fleurs book it looks amazing! I love the bag, and those sunglasses! 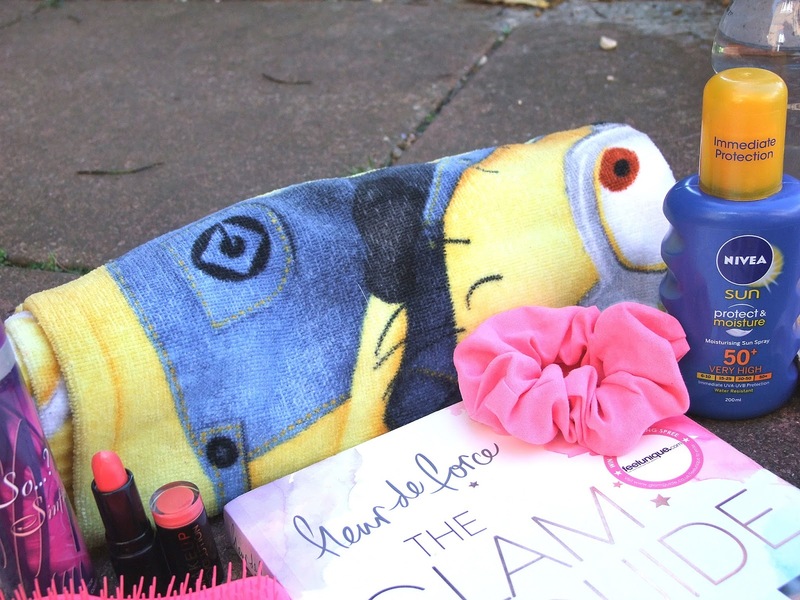 And your towel is pretty awesome too - who doesn't love minions! 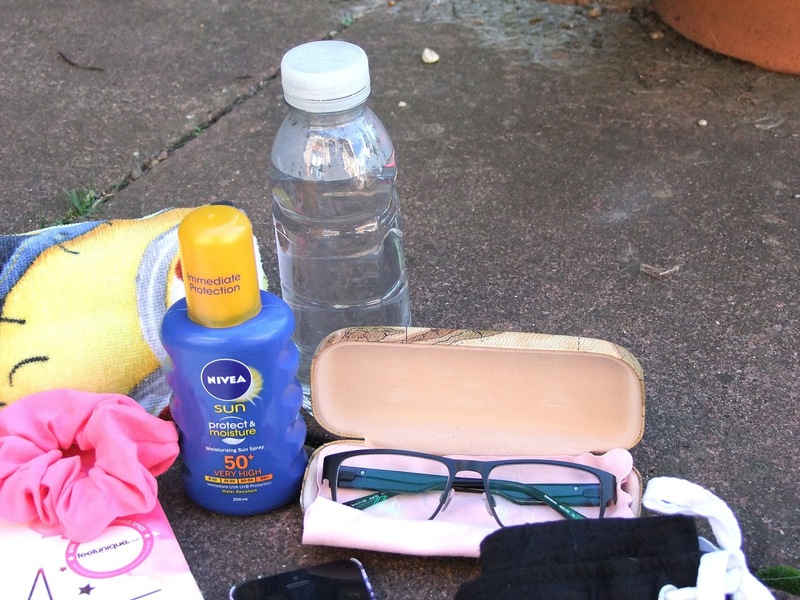 I miss going to the beach or on holiday :( I love that SPF from Nivea though, is a life saver on those warmer days! I'm embarrassed to say how long it's been since I've been to the beach (which is less than 5 minutes away) but I'd probably be bringing copious amounts of sunscreen. I don't like to tan/burn, lol. 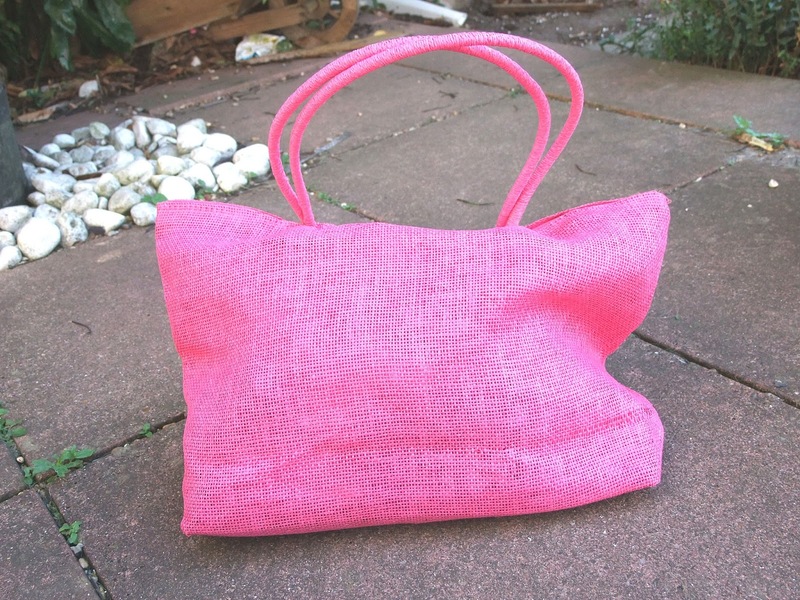 Love the pink bag! This is so useful - I'm going away next week! 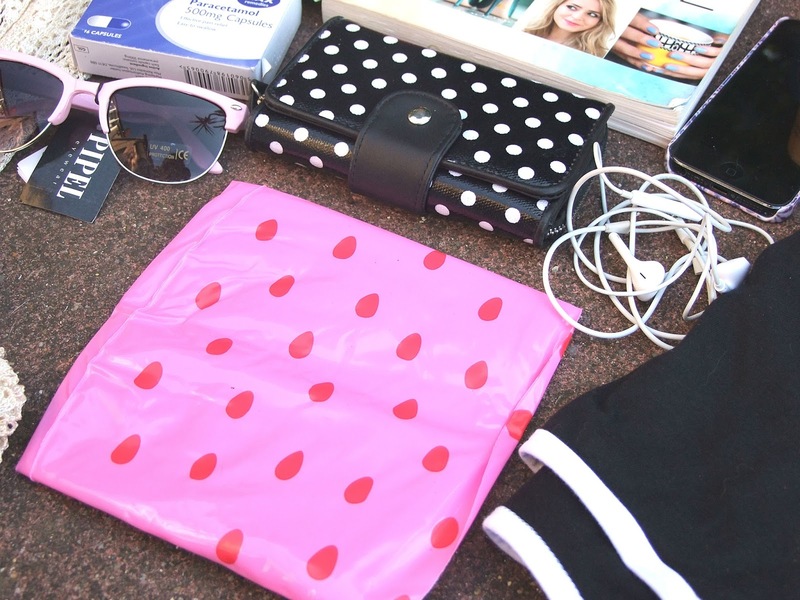 I always forget something in my beach bag, i'm useless!